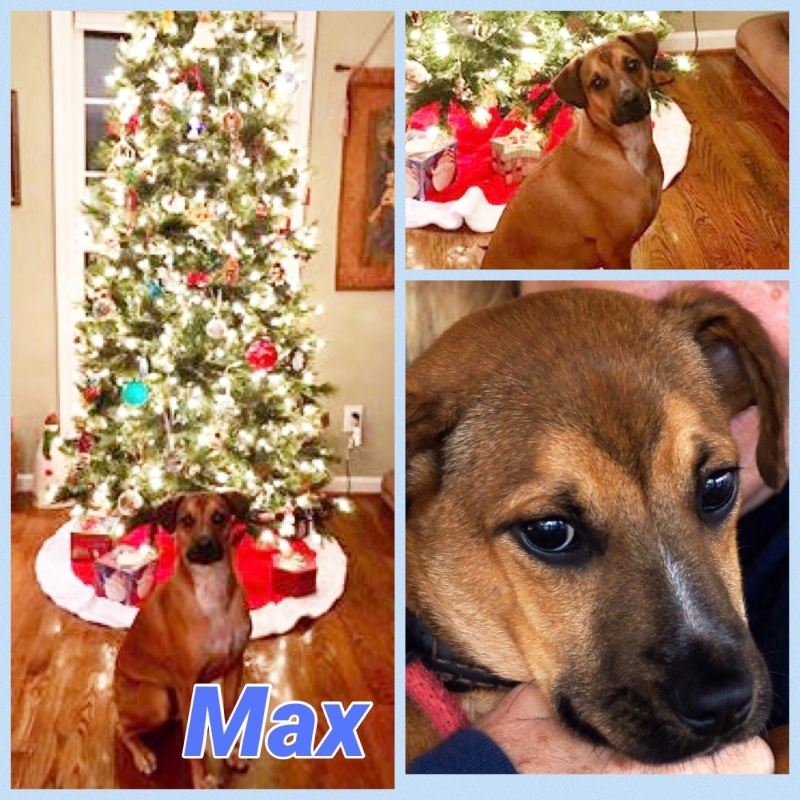 Max is enjoying his first Christmas in his forever home. We love him so very much and are thankful he’s ours. Hello…this is Dolly and I wanted to give you an update. 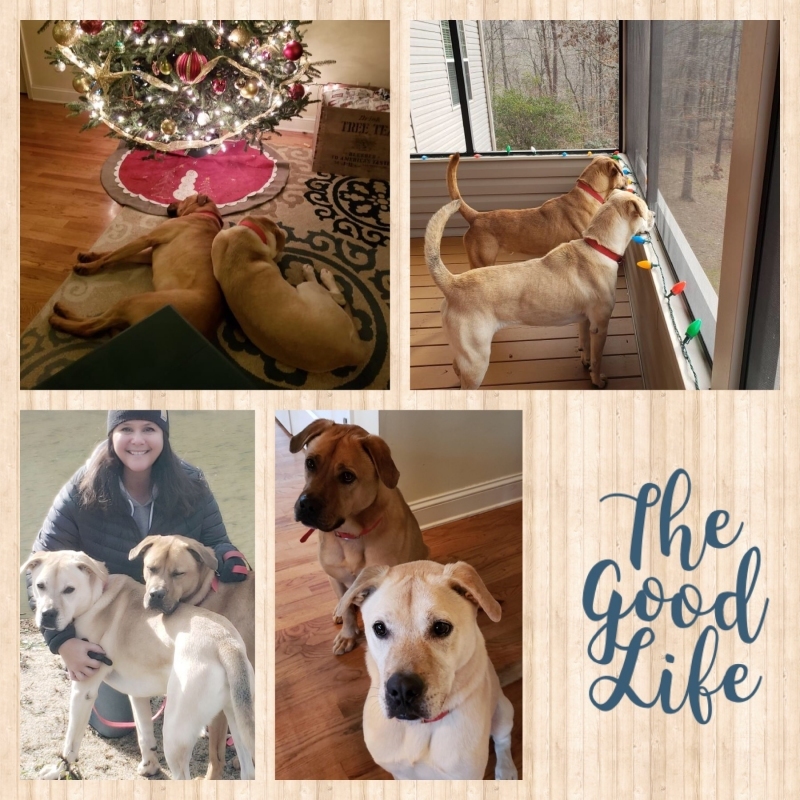 A week ago we left you and were adopted by our forever home. You met my new dad when they picked me up, but wanted to show you my new mom! She is so sweet! We are having a blast! There is too much too tell but I’ll give you some of the highlights. We have started the process of being house trained. We have slept in our crate every night and we sleep the WHOLE night without a whimper. 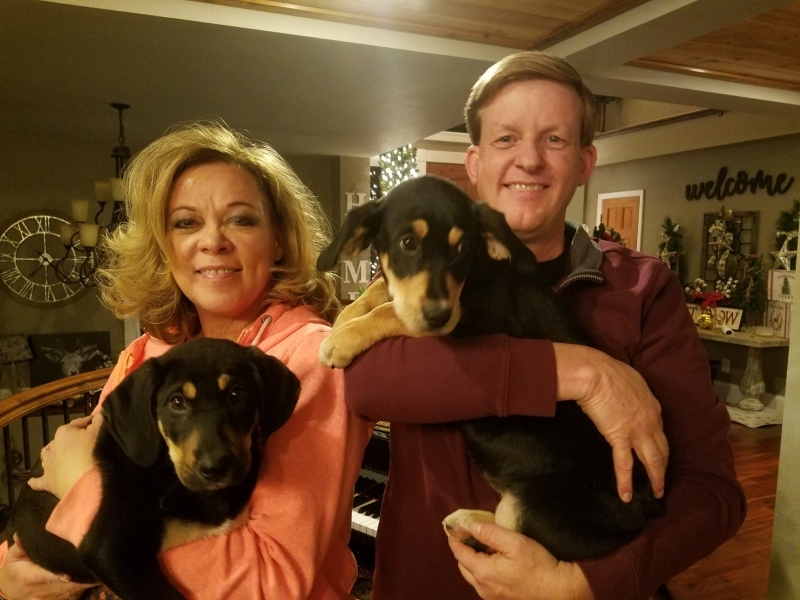 My new parents were so excited that they do not have to get up in the middle of the night. We are starting to get the hang of it, but we still have some work to do. My parents want to take us out whenever they see us start sniffing around. The problem is…we have bloodhound in us, so we are sniffing ALL the time. My parents keep saying the word “false positive”…whatever that means. Great ride home. Loved seeing the girls again. Gets along with his furr brothers. Loves the backyard (even took advantage of the poop corner). Had a great trip to Petsmart to find a couple of toys and picked his new bed (wouldn’t get out once he found the one he liked). Got his first bath and can go up and down the stairs. 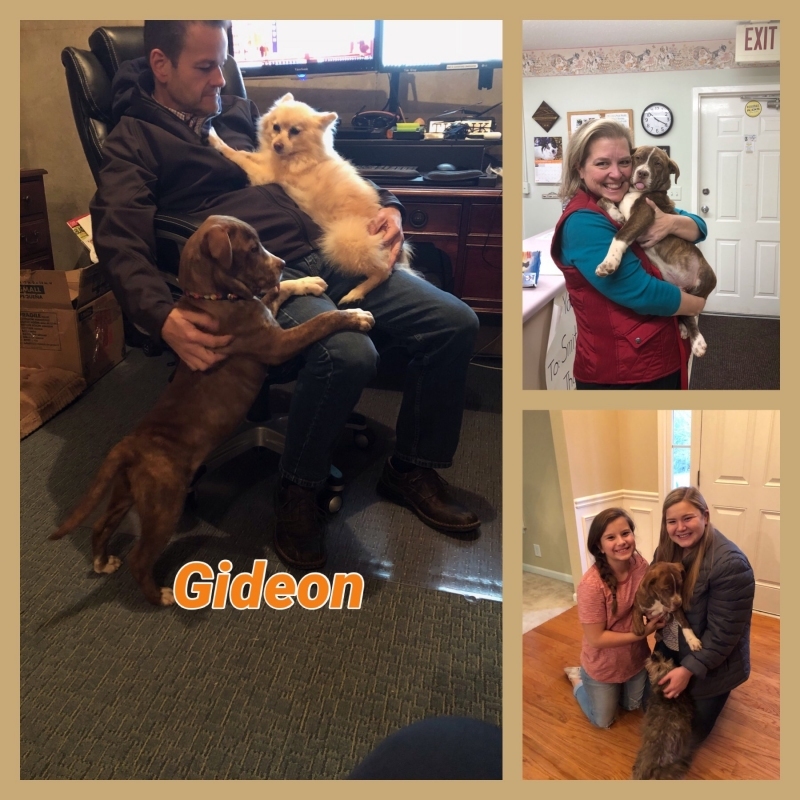 Lord it has been a big afternoon for our Gideon. I am sure he will cuddle up soon for bed. 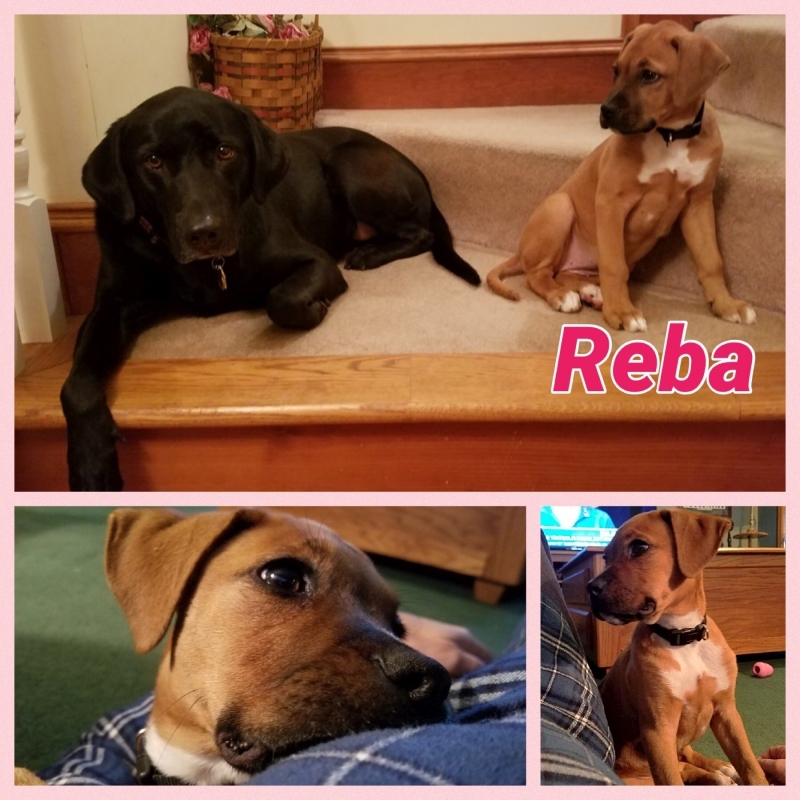 Happy Tails Update from Reba’s parents! we got reba safely home and have started training for all the essentials. she slept very peacefully last night and having an exciting day today exploring her new world. thank you again for choosing us to be her family. we are very grateful. i hope you enjoy the photos.